*The Positive Development of Youth: Comprehensive Findings from the 4-H Study of Positive Youth Development, 2013. 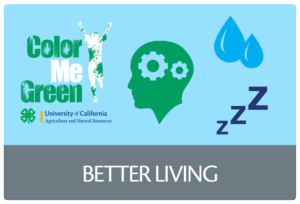 The University of California 4-H Youth Development Program is focusing efforts on increasing healthy living opportunities and strengthening the presence of healthy living themes throughout existing programs, activities and curriculum. 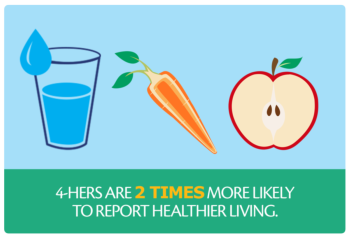 4-H members and volunteers can incorporate healthy living into all project areas. The diversity of projects range from yoga and surfing to growing a salsa garden and learning CPR. Whether you are looking for activities to enhance your 4-H project, or food and beverage guidelines to adopt, this page features a growing list of ideas for incorporating healthy living concepts into every aspect of your 4-H program. 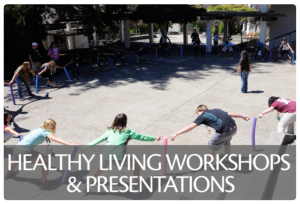 Did you recently participate in a 4-H Healthy Living Workshop and want access to the presentation, handouts and activity plans? 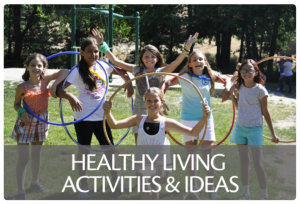 This page features recent and archived presentations about 4-H Healthy Living. 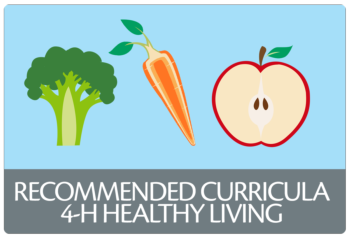 Healthy Living curricula offers a range of engaging and challenging experiences for youth of all ages and abilities and their families, building health literacy while meeting the developmental needs of youth. 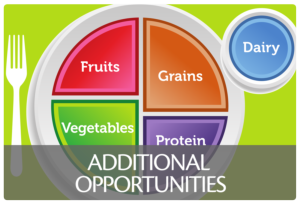 Are you looking for ways to integrate healthy living practices into your 4-H club? 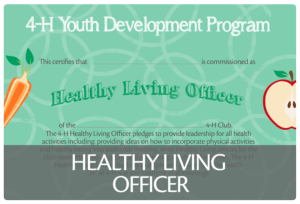 Check out the Healthy Living Officer position and see how you can become your club's ambassador for health! On this page you can catch up on archived monthly newsletters and find details about special opportunities related to healthy living. This page currently features information about State Field Day.